Found throughout agricultural areas of New Zealand. Has a very wide host range including many vegetables, maize, sweetcorn, cereals, grasses, lucerne, white clover, plantain, and weeds such as docks. Although generally considered a minor pest, it can be a serious problem in kumara and seedling maize and sweetcorn field crops. The moths are nocturnal and attracted to lights. They are dark mottled brown to greyish-brown, with females darker than males. At rest they have a rectangular shape and are 35- 50 mm long. Eggs are laid singly or in clusters on vegetation, plant debris or into cracks in the ground, with low, dense vegetation (e.g. broadleaved weeds) being preferred. Small caterpillars are reddish brown to greyish green and are usually found on plant foliage. Larger caterpillars live in burrows up to 8 cm deep in the soil. They are typically greyish-green with two yellowish longitudinal stripes down the body. Their skin has a shiny greasy appearance. Moths can be found year round but are most common from October to April. Most greasy cutworm overwinter as larvae and pupae. Caterpillars can also be found throughout the year but growth and development only occur when temperatures exceed 10.4oC. Each female moth lays around 600-800 eggs which initially are whitish-yellow but turn brown within 24 hours and become darker as hatching approaches. In summer they hatch in 3-7 days. After hatching young caterpillars forage on leaves until they are about one third grown. Larger caterpillars lie curled up 25-50mm below the soil surface during the day and emerge at night to feed. They often store parts of severed plants underground allowing them to remain underground for several days during unfavourable weather. The caterpillars can grow up to 50 mm long. When fully grown they form earthen cells in the top 50 mm of soil and pupate. Pupae are 17-25 mm long and reddish-brown appearing almost black just before the moth emerges. The normal summer life cycle takes from 7 to 12 weeks but varies in length depending on location and climate. There are 2-3 generations per year. The larger caterpillars are the most damaging stage, cutting seedlings off at their base or tunnelling in the stems. Maize plants cut above the growing point usually survive but have greatly reduced yields. Losses of well over 10,000 plants/ha can occur at populations of 3 caterpillars/100 plants before the two leaf stage or 6 caterpillars/100 plants at the two to four leaf stage. Brassica seedlings and fodder beet seedlings can also be cut at ground level and killed. 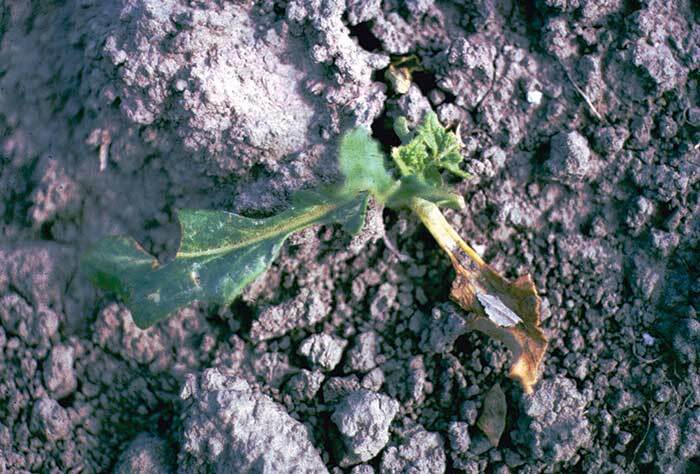 Feeding to cotyledons and leaves may slow plant growth. During windy periods eggs are usually laid on the leeward side of shelter (trees, hedges etc) resulting in damage often being worst in these areas. Thorough cultivation and good weed control, to eliminate alternative hosts (e.g. docks and plantains), before planting will reduce cutworm numbers. Sowing treated seed controls cutworms during seedling establishment, and also controls black beetle and stem weevil. Scout maize and sweetcorn paddocks regularly after maize emergence until the 4-leaf stage particularly on the leeward side of shelter. Where plants have been recently felled, scratching carefully in the soil around the cut plant base will usually reveal the curled up caterpillars. Their size will give an indication of future crop damage. Very large larvae about 50 mm long will be close to pupation and further feeding may be limited. 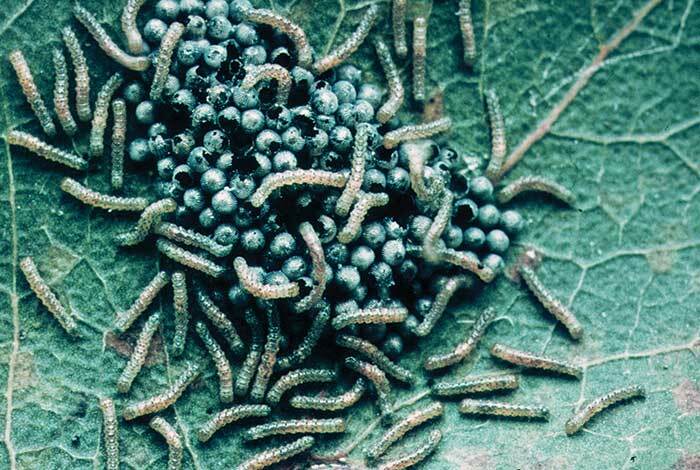 Smaller larvae will feed for longer and continue to cause plant damage. 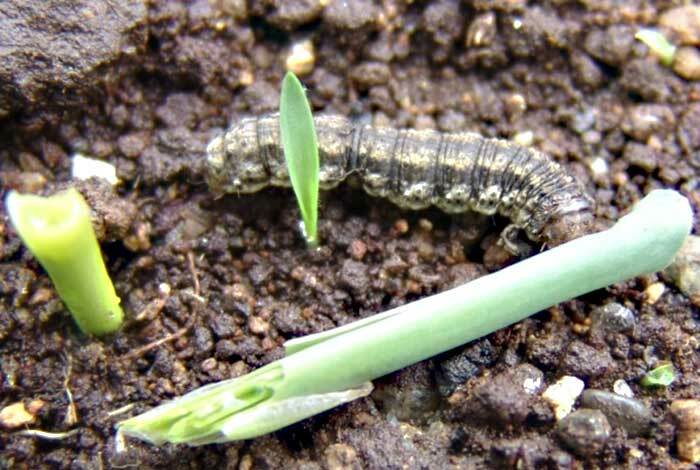 A range of insecticides have registration for use against cutworm in maize. Synthetic pyrethroids are generally the most cost effective. 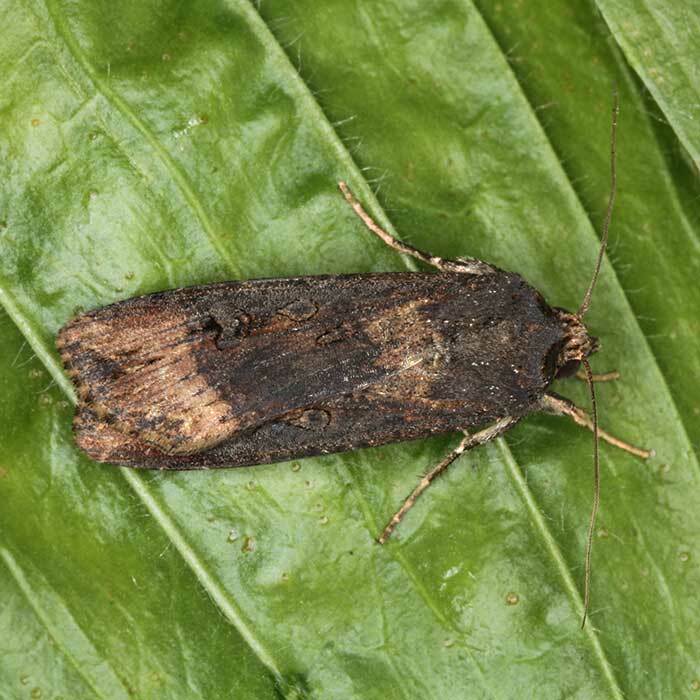 In fields where cutworms are a perennial problem, an insecticide can be used in combination with pre-emergence herbicides to reduce cutworm numbers. Foundation for Arable Research Arable update No. 52. Greasy cutworm control in maize.